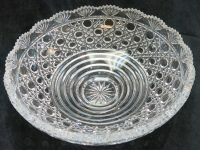 Epergne Crystal Replacement Bowls. Hand cut, so they vary in size. 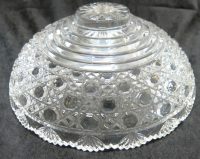 Before making purchase, please email me the EXACT diameter of the opening that the bowl sits into, and I will make sure I find one that fits. 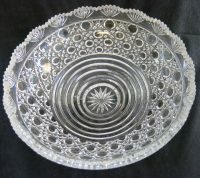 I have about 10 bowls in this exact style. 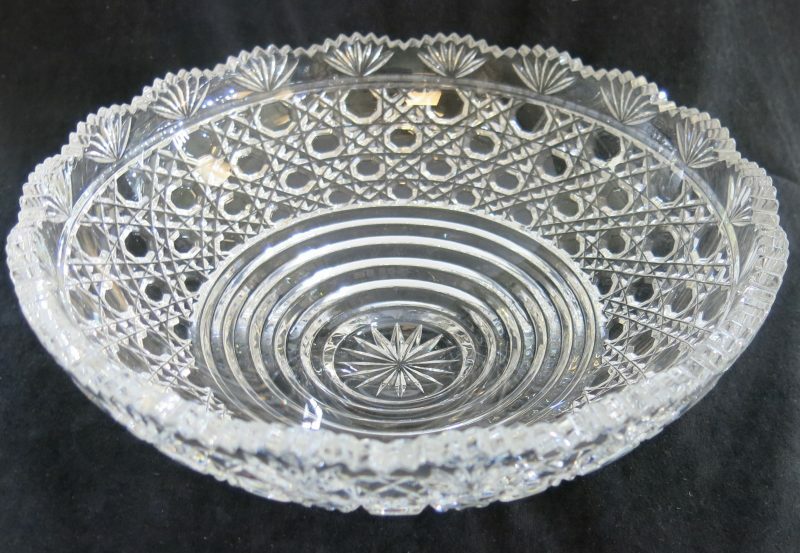 The top measurement is approx 10.75" diameter, and the bottom of the bowls have stepped rings cut into the crustal, so that they fit a multitude of sizes, but I would like to make sure it fits properly, so don't forget to let me have the measurement.